I have fallen for this show in a big way. It has so much going for it – vintage clothing, the age of invention, mysterious crimes, and Mounties. The wardrobes remind us of the early seasons of Downton Abbey, the murder mystery plotlines play out like an episode of Midsomer Murders, and the whole production is permeated with the atmosphere of Anne of Green Gables. We see an image of Toronto at the turn of the century, a clean city filled with law-abiding citizens, tidy houses, people with good manners, well-kept shops, swept pavements and populated by a quietly spoken people who act modestly, with humility, out of respect for their fellow-man, and with respect to God. It’s hard not to fall in love with a model city such as this. In fact, I am now considering moving to Toronto asap. 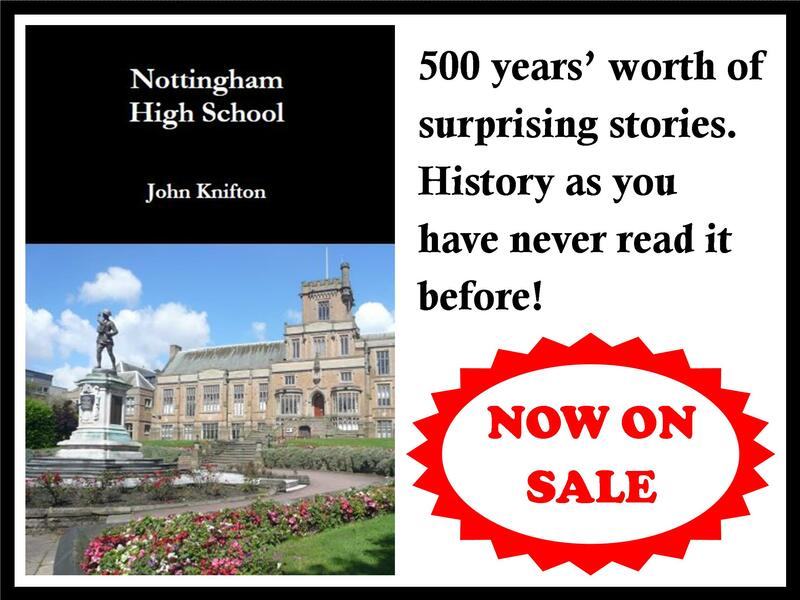 In the middle of this wonderful, loveable city is the hero of the hour, Detective William Murdoch, a policeman who can be depended on to apprehend murderers and bring about justice. Last week (Winston’s Lost Night) we saw Detective Murdoch attempting to clear a young Winston Churchill of murder after the young bulldog woke up in his hotel room with no memory of the previous night, only to discover the dead body of his best friend lying on the floor of his hotel room. The familiar face of a talented young actor playing Winston Churchill – you may remember Thomas Howes for playing the endearing and tear-jerking William, the first footman of Downton Abbey. This episode was a real joy to watch, and Thomas Howes was uncanny as the young Winston Churchill. Indeed, this episode really has set the bar high for the next episode in the series. The term “serial killer” may be bandied about a lot today, but back in the age of invention the term was unheard of. It would have been very cutting edge for a psychiatrist to suggest that the police investigate the possibility that a sudden spate of murders could all be connected, and I think this could make the episode quite exciting. 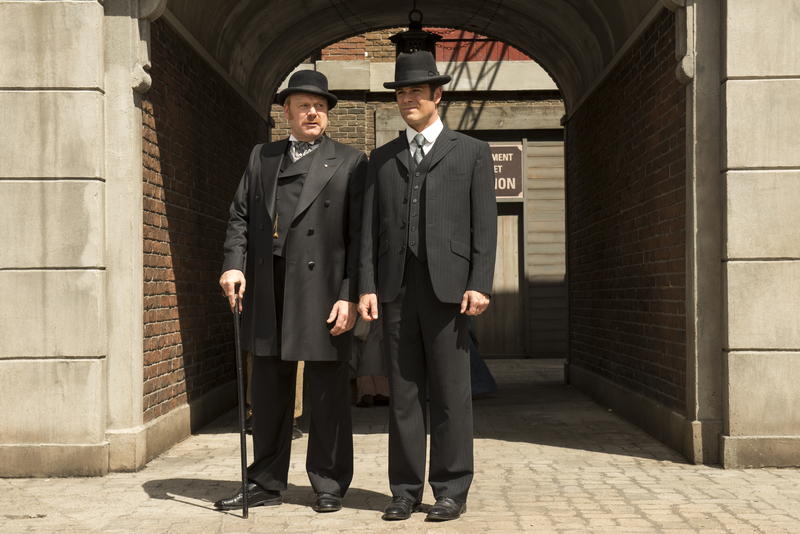 Inspector Brackenreid (Thomas Craig) and Det. Murdoch (Yannick Bisson) survey the square, a location which all the victims had in common. Detective Murdoch approaches the possibility of a serial killer by methodically analysing finger prints (another very new technique in this era), and decides to set up a kind of time-lapse camera to try to catch the killer in action. 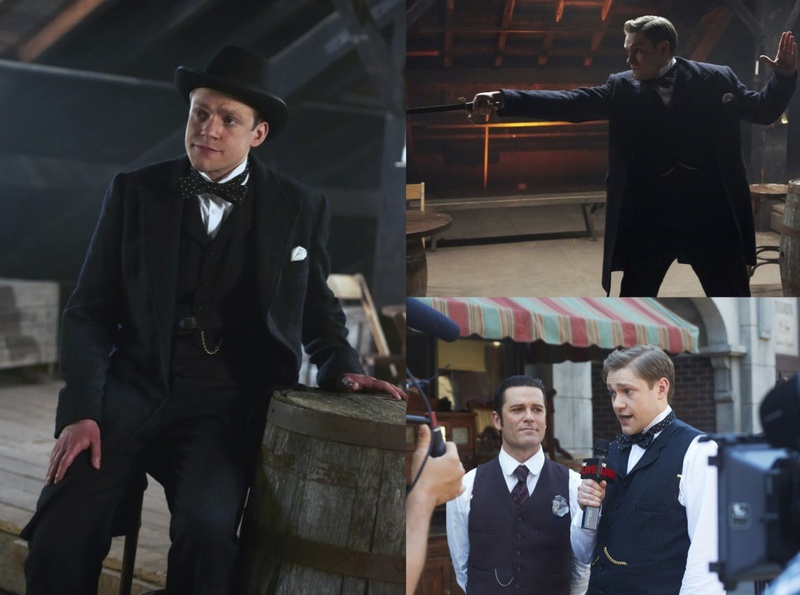 Will Murdoch get the bad guy before he kills again? 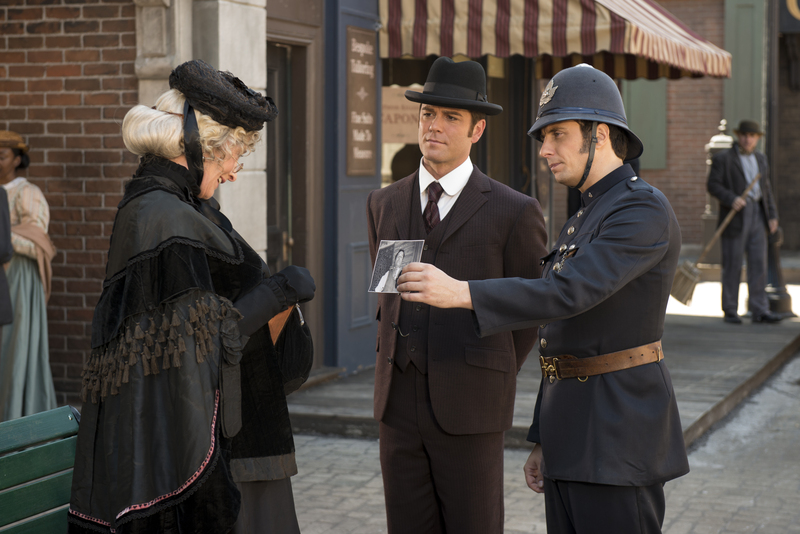 Constable Crabtree (Jonny Harris, right) with Detective Murdoch (Yannick Bisson) questions Mrs. Lynd (Janet-Laine Green) about a victim, hoping to gain a lead in their investigation. Murdoch on the Corner previews in the UK on Monday 18th February, at 9pm on Alibi channel (Sky 132, Virgin 130). Hello my friend! I want to say that this article is amazing, nice written and include almost all significant infos. I would like to see extra posts like this.